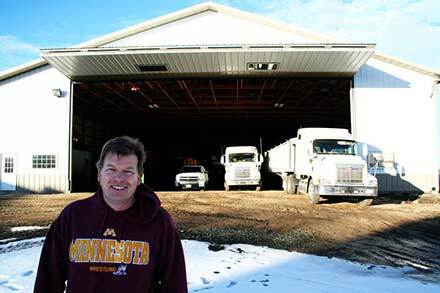 Brian Frank's new 80' x 150' cold storage building is packed with machinery for the winter. 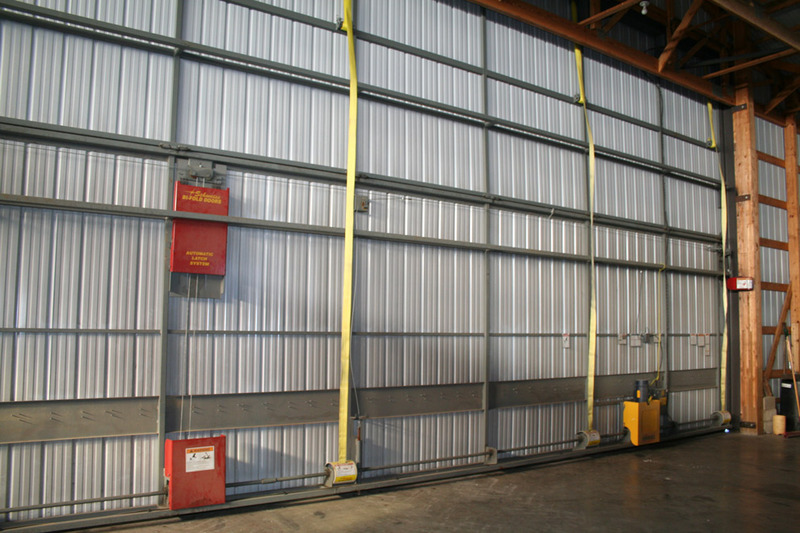 It has a 48' x 18' Schweiss bifold liftstrap door with an automatic latching system and remote opener. 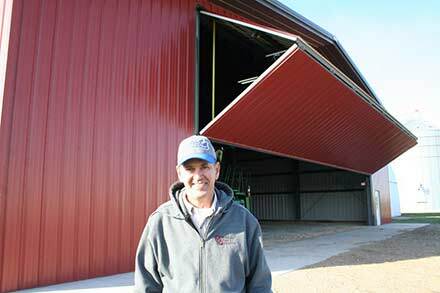 This door and his other four bifold doors withstood 90 mph winds during a 2011 storm. 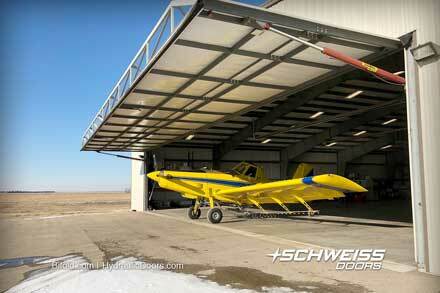 "The Schweiss doors are pretty much maintenance free. They're durable and solid. We had a bad storm back in 2011. 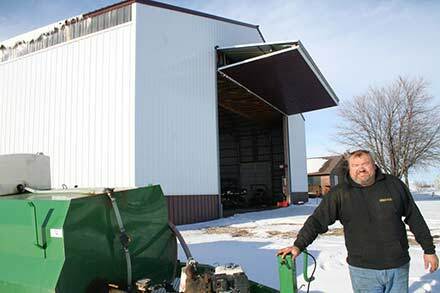 My shop door stood up to 90 mph or better winds. Without these doors I think the buildings would have been gone; I think they saved the buildings. 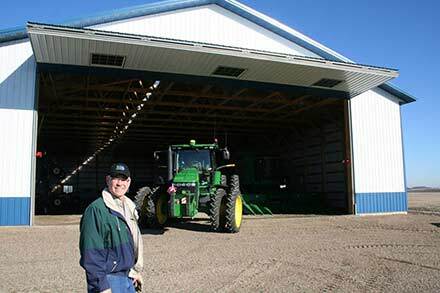 I have freestanding headers on all but the two older doors. The shed doesn't creak or crack when you open the doors, they're nice and solid and seal well in all types of weather." 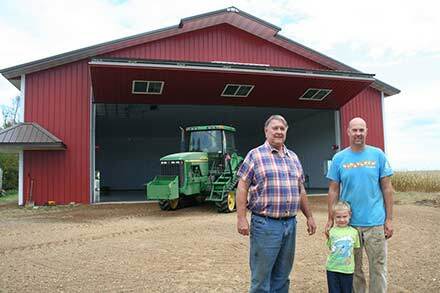 Brian and Bruce Frank have five Schweiss bifold doors in use on their two farmsites near Olivia and Bird Island, Minn. and they couldn't be happier with any other style of door on the market. 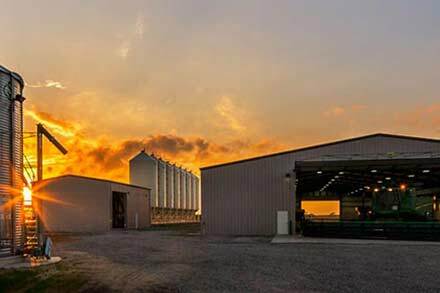 The Frank's farm 1,600 acres; growing corn, soybeans, sugarbeets, sweetcorn, peas, navy beans, and some wheat; they also do some custom sugarbeet harvesting for area farmers. 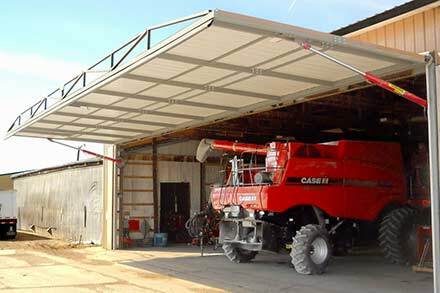 With a farm this busy, they appreciate the ease of operation of the bifold liftstrap and bifold cable doors on their machine sheds and farm shop. 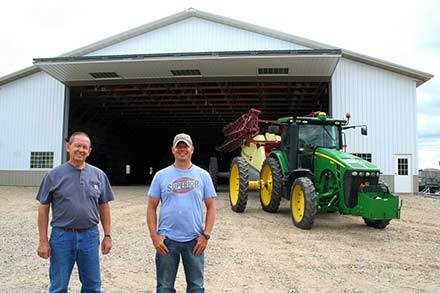 Arriving at the farm you'll immediately notice that the Frank brothers take pride in their machinery and buildings - everything is sheltered, clean and in its place, ready for spring planting. 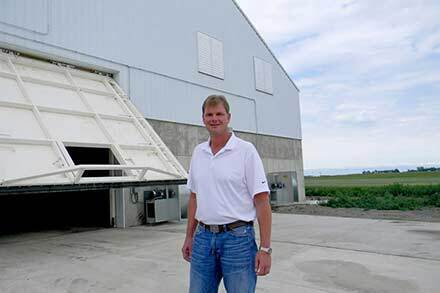 Brian said they put in their first doors during the late 80s, not long after Schweiss started making bifold doors. 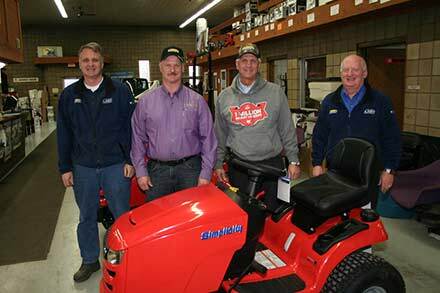 They didn't even consider another manufacturer. 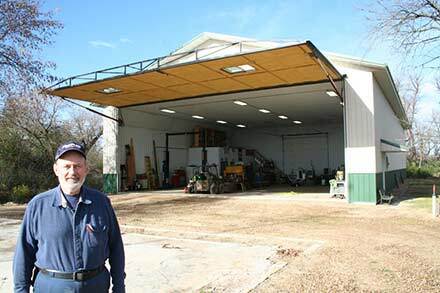 His shop is a 60' x 100' 1975 Morton cold storage machine shed that was raised up four feet to accommodate a taller bifold door for additional headroom in order to accept bigger machinery. It has a overhead radiant heat and is well lit. 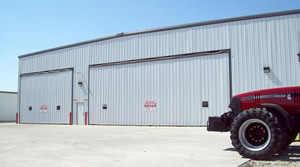 It has a 34' 6" x 18' bifold liftstrap door on it with autolatches and two 4' x 3' sliding windows. 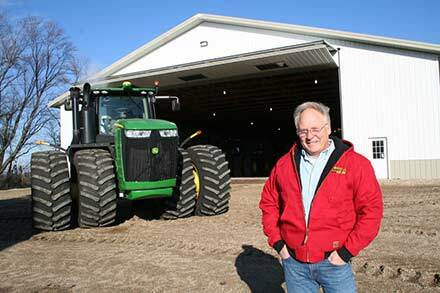 "The Schweiss doors are pretty much maintenance free," said Brian. "They're durable and solid. We had a bad storm back in 2011. 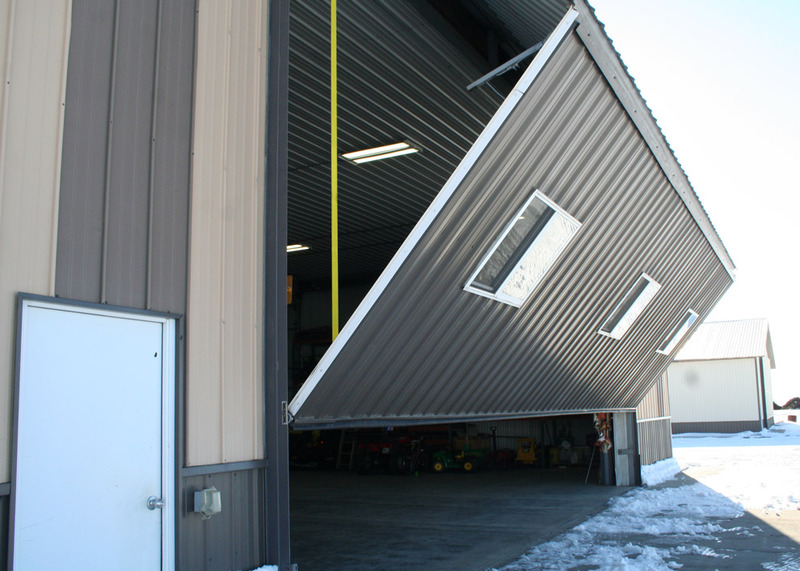 My shop door stood up to 90 mph or better winds. Without these doors I think the buildings would have been gone; I think they saved the buildings. 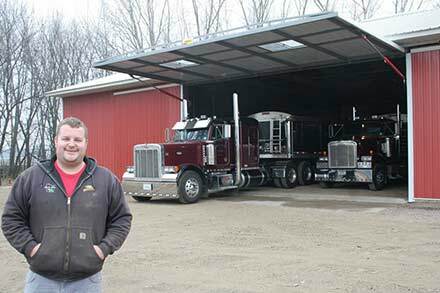 I have freestanding headers on all but the two older doors. 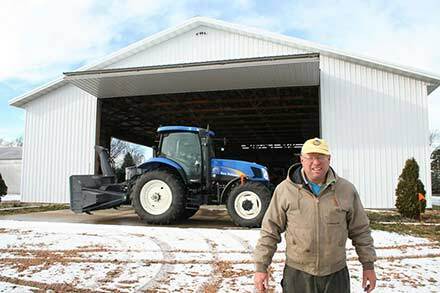 The shed doesn't creak or crack when you open the doors, they're nice and solid and seal well in all types of weather." "One thing about Schweiss Doors . . . whatever you want you get; they're not trying to shove something down your throat, if anything, they're going to overbuild you, they're not going to underbuild you. You just want to make sure your building is capable of holding your door. 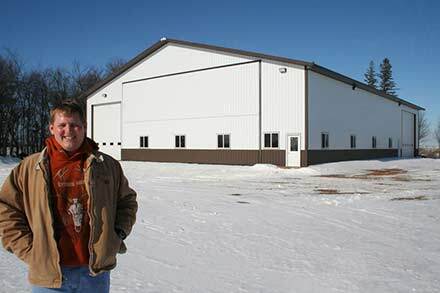 When this building craze was going on there were companies putting bids out on pole buildings and they weren't putting meat into that end of the building where the door was going on. 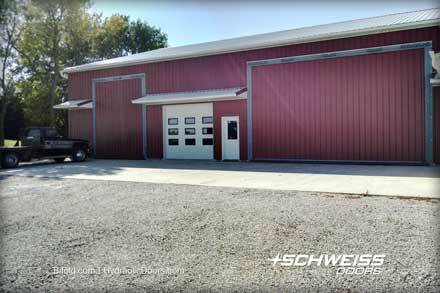 If you know what door you're putting on your building and you are new construction you need to make sure Schweiss and your building contractor talk, it's very important. Schweiss has very nice manuals and guidelines that they send out. 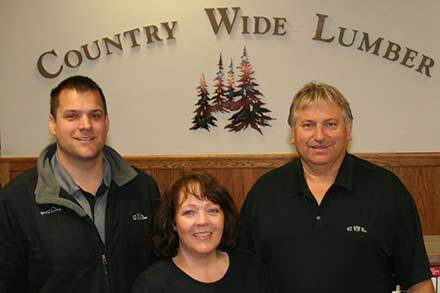 Their website is awesome, go to it first and you can start to put a lot of information together really fast." 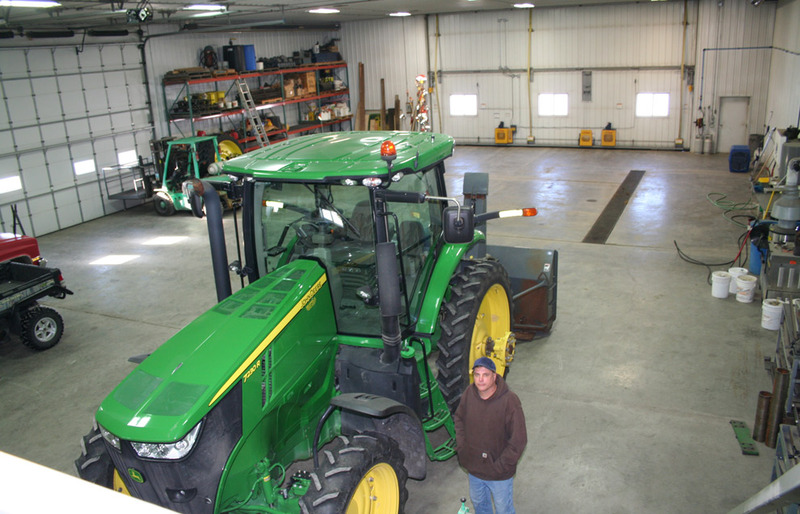 Their three newer doors all have automatic latching systems. Brian likes this feature because it eliminates the step of having to walk back and forth to unlatch them and they pull the doors in nice and tight. 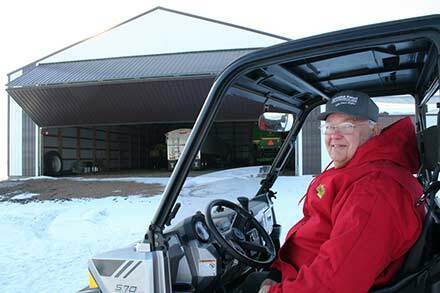 "We went with bifold doors for snow and they let you park closer in front. 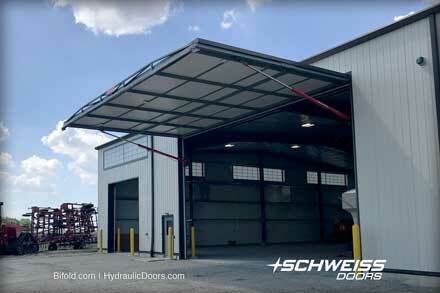 The hydraulic doors are nice too, I like the simple one-piece construction of them. We're sized kind of where we want to be. 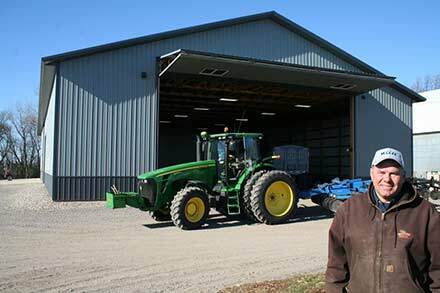 Although the new shed could have been built a foot or two taller to allow for a higher door - the height of the combines when you put the copper extensions on start to get tall." 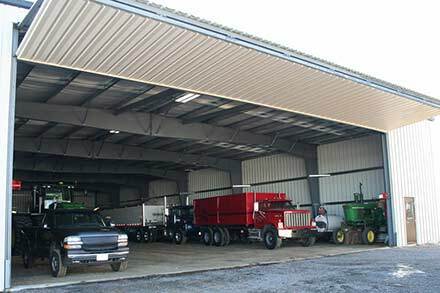 The new cold storage shed is a 80' x 150' cold storage building with a 48' x 18' bifold liftstrap door with autolatches and a remote opener. "A story about that remote . . . 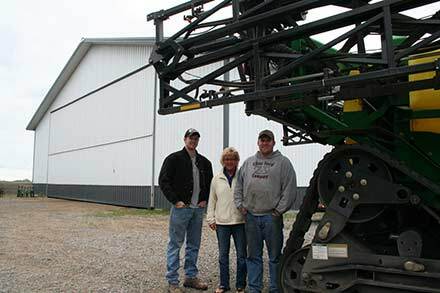 I was three quarters of a mile or more away with the planter one spring. I thought just for the heck of it I would click the remote, and it opened up. 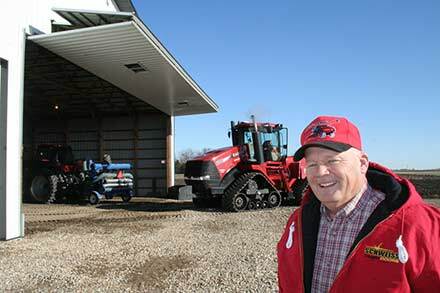 I was impressed with it," said Brian. "One thing about Schweiss Doors . 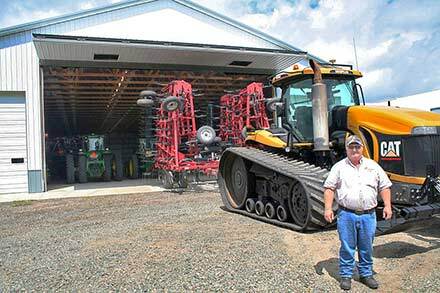 . . whatever you want you get; they're not trying to shove something down your throat, if anything, they're going to overbuild you, they're not going to underbuild you. You just want to make sure your building is capable of holding your door. 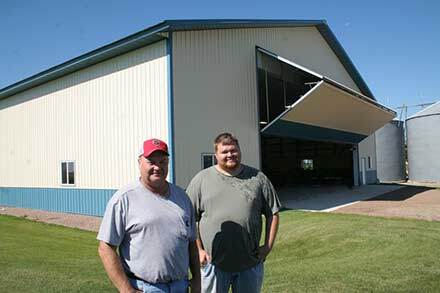 When this building craze was going on there were companies putting bids out on pole buildings and they weren't putting meat into that end of the building where the door was going on. 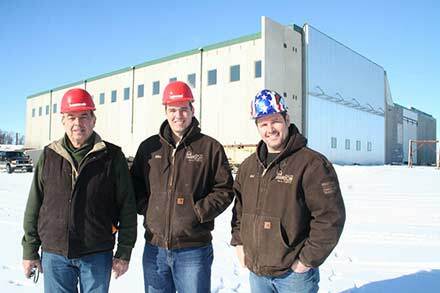 If you know what door you're putting on your building and you are new construction you need to make sure Schweiss and your building contractor talk, it's very important. 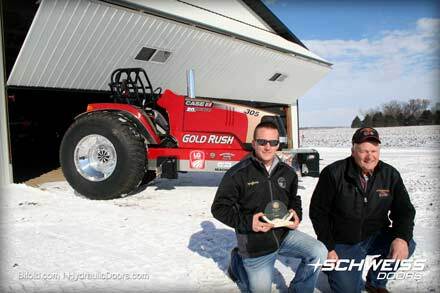 Schweiss has very nice manuals and guidelines that they send out. 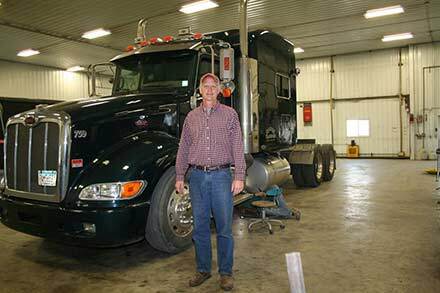 Their website is awesome, go to it first and you can start to put a lot of information together really fast," noted Brian. 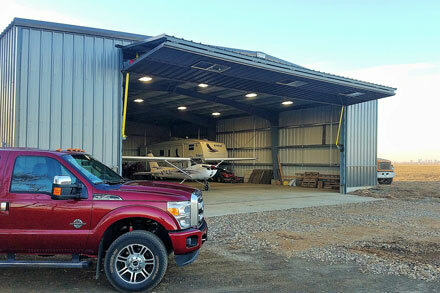 In order to have a modern shop, this 60' x 100' Morton building was raised four feet before pouring its floor and putting in a larger 34' 6" x 18' Schweiss bifold liftstrap door. 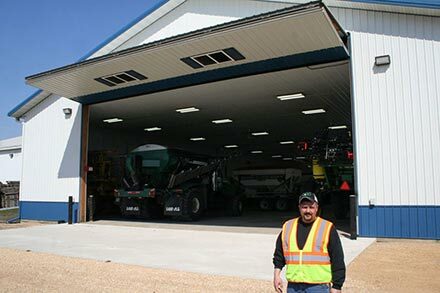 Brian Frank is a believer in coordinating your bifold or hydraulic door purchases with the building contractor and door manufacturer in order to make sure your building is capable of holding your door. 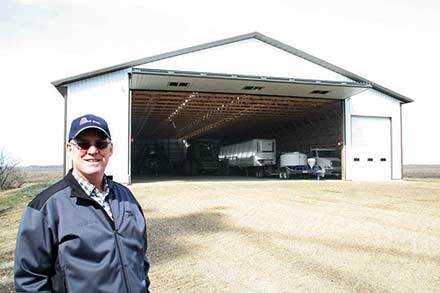 This farm shop building can now accept even the largest machinery since it was raised up and a taller door put on it. 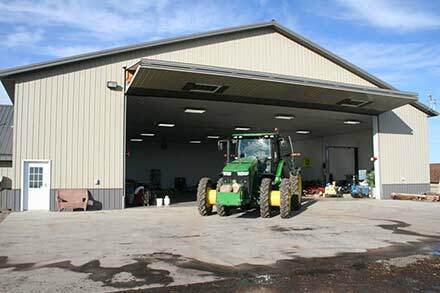 Three large 4' x 3' sliding windows on the farm shop door let in a lot of natural light and allow the door operator to look outside prior to opening the door. 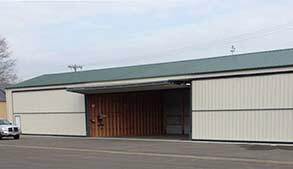 The Frank's like the timesaving automatic latching feature on their doors that also gives them peace of mind knowing that the door will shut tight into the building when closed. 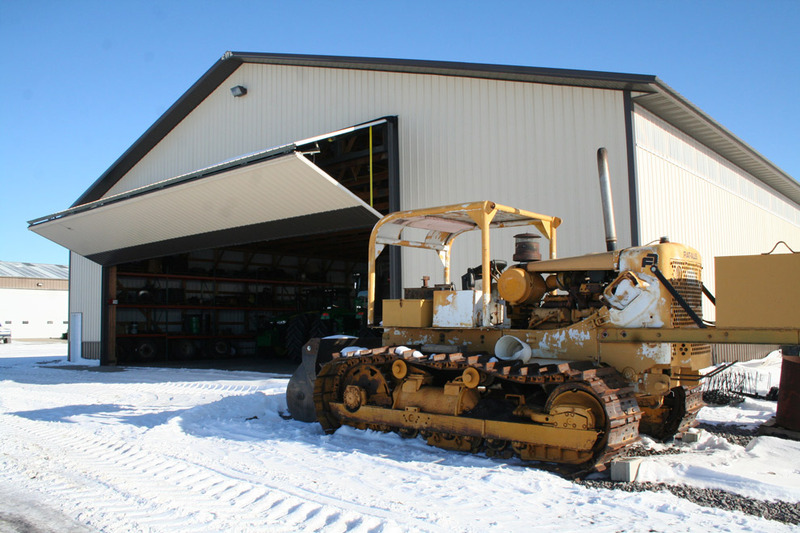 A cold storage building 150' long with a wide 48' bifold door can hold a lot of machinery. 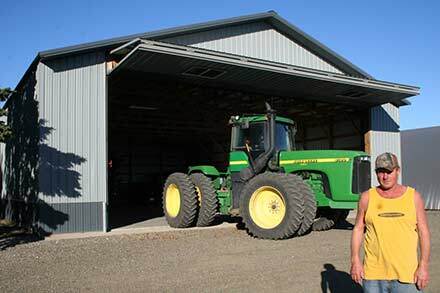 Multiple doors on the machine shed make it easier to move things in and out. 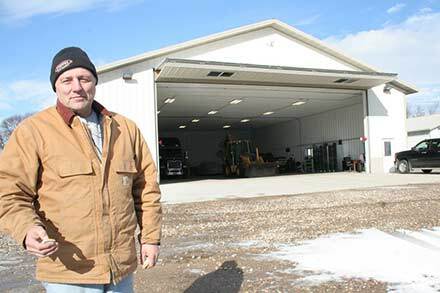 One of the reasons Brian Frank went with a bifold door is because it lifts straight upward heavy snow accumulation in front of it doesn't need to be moved prior to opening the door. 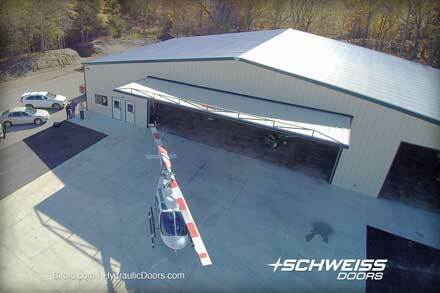 Schweiss patented bifold liftstraps and powerful motors lift a big door like this with no problem. 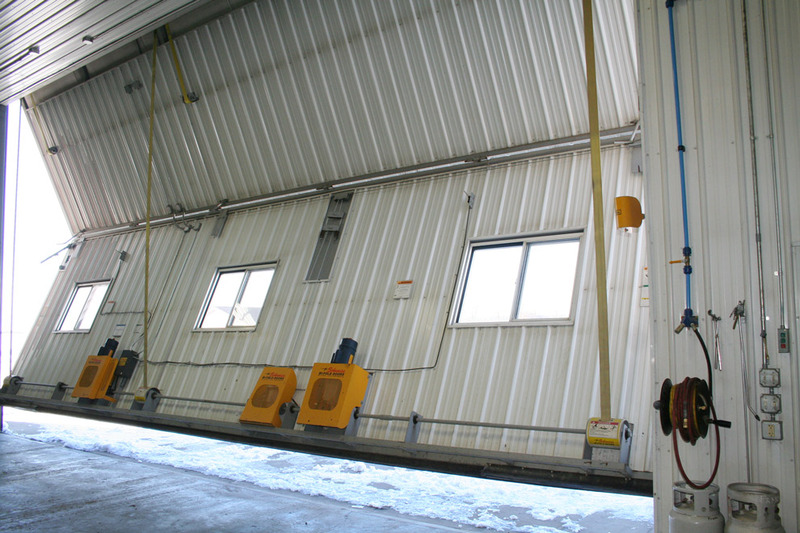 Each liftstrap is rated for 29,000 lbs., resulting in a very safe and quiet operating door. 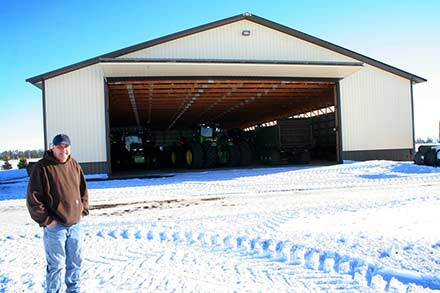 The two farm buildings with Schweiss bifold doors are positioned next to each other for easy access for storage or shop work.